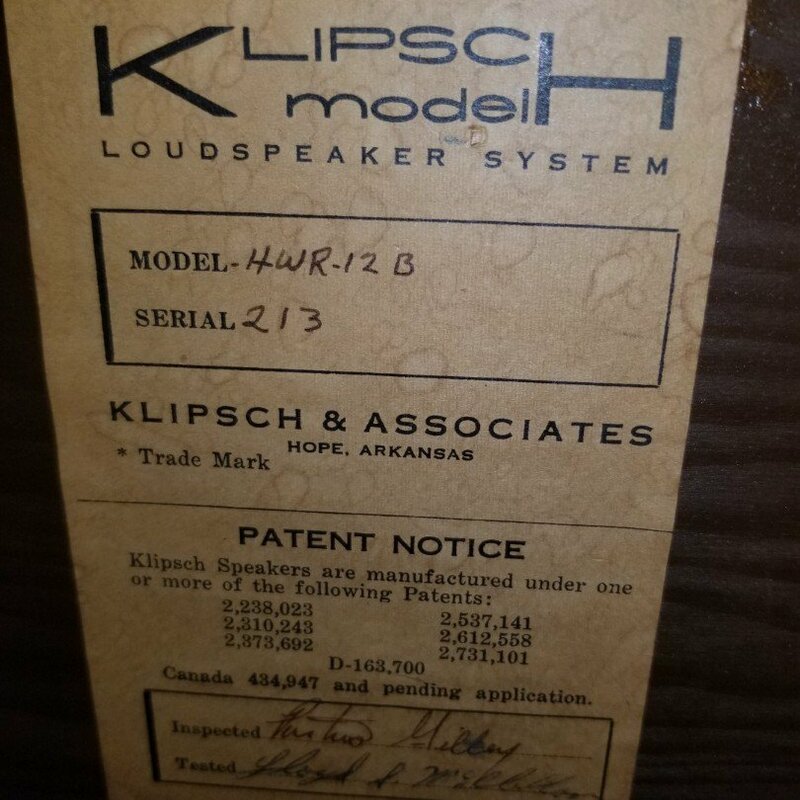 klipsch model H (Heresy HWR 12 B )speakers in amazing stock condition. PLEASE SEE you tube video 1961 klipsch heresy's..
left the klipsch factory on Feb 17 1961 serial # 212 and #213. notes in log books as new style. ( no longer has grills on the side) first heresey's. still the exact way they left the factory with K77 horn k55 horn and kk22 woofer. grills in mint condition. cabinets in almost perfect condition I would call them a easy 9 out of 10. crossovers are stock.. these are extremely rare! please try to find any pictures. you tube post. notes. or anything else as you probably won't be able to find anything. 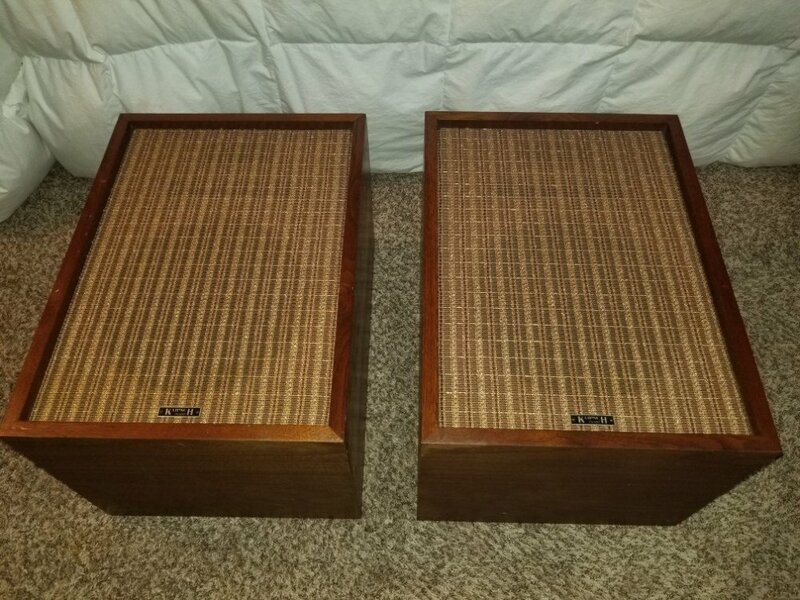 I am going to let these go as they are WAY to special of a matching set that I need.. And YES THEY SOUND FANTASTIC! AMAZING! ROOM FILLING VINTAGE audio... any questions I will do my best to answer. 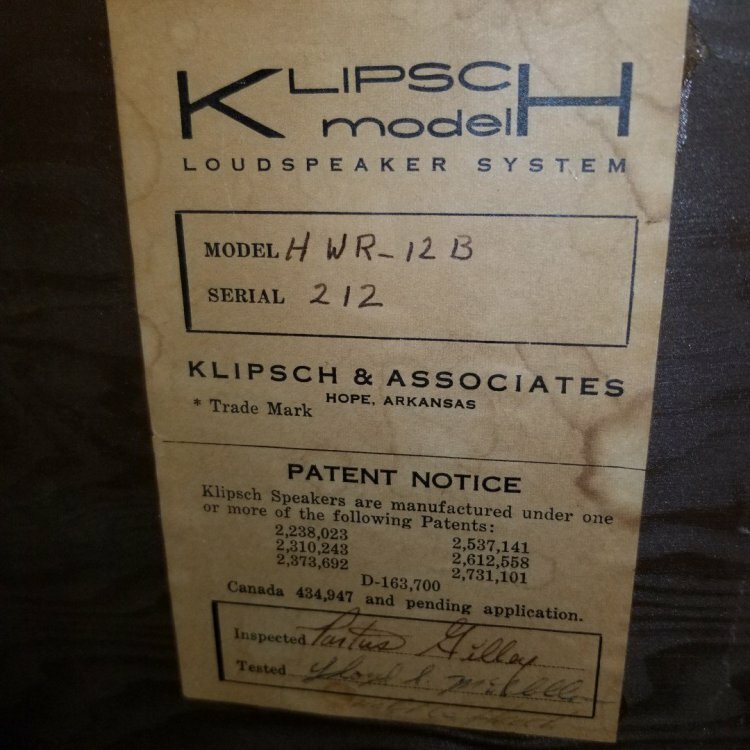 this is also listed on the klipsch owners Facebook page. possible patial trade for klipsch stuff ( new heritage heresey's) 70th aniv heresey's.. etc. Whoa. Haven't seen a pair of this vintage before. Very nice. GLWS. At that asking price, I would suggest that you get pics of the pair side by side from each angle if possible. Would go along way in helping you get top dollar for the pair. thanks I will do my best! That statement needs no explanation. probably but it took 2 weeks to work it all out. he had a turntable that he wanted $150.00 for I let him know that it was worth $6500.00. Sometimes it does. Pissed me off when I was new and getting rid of stuff I acquired over years and was called a flipper. Rubs people the wrong way on here I was told (and understand). 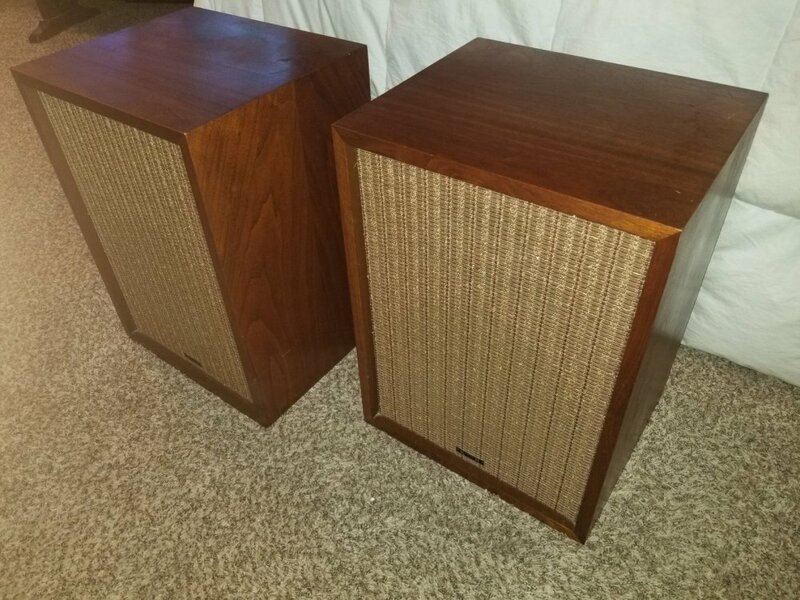 I would love to keep them.. but again this is a very special set of speakers. and I would rather have a new set of heresy speakers that I wouldn't be worried a out setting to 11 on the volume dial... these sound amazing and I am just giving an opportunity to own a pair of rare speakers. thanks.Yes I am flipping them. but I worked hard to get these and both parties are extremely happy. Perhaps some of you are unaware that this is an advertisement in the "Garage Sale". If you don't like the deal then move on and find another. At this point some of these comments are simply rude and disrespectful. It is really not how community members should treat one another. I would suggest you take this sale to Audiogon. You might have some better luck there. Normally I would agree. If one doesn't agree with the pricing then nothing should be said when a fellow forum member is the Seller. While I would not pay this two thoughts come to mind here. The Audio world is FULL of prices I would never pay. I mean $4,000 for a retarded cable??? Please spare me. This appears to be a genuine collectable antique and is worth far more than just a Heresy. How much more I don't know but can we agree these are pretty hard to find? I don't remember seeing one this old here before. If I were the seller I would hold to $2,800 and just find out what it is worth and ignore all the detractors. 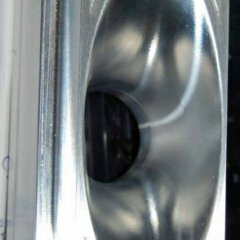 I don't see the guys selling early Altec drivers getting beat up over their huge number prices. For what it is worth I think he is asking a fair price to start with and let the market decide if it is right. ==== I gotta agree. 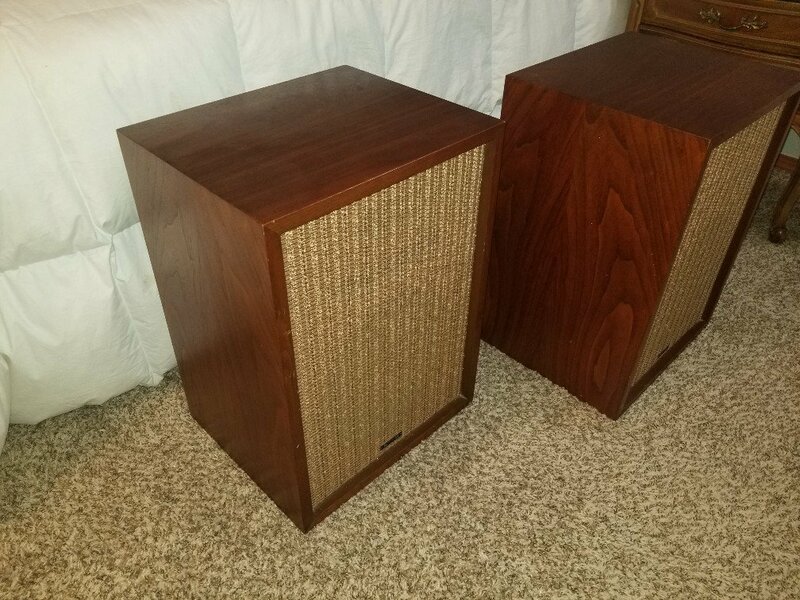 It seems a more rare than normal Klipsch speaker. Seller may have thought that for these speakers on this love for Klipsch Forum he might find someone that appreciates and collects such things. And he still may. The price asked for any product follows the same saying as beauty - price and “beauty are in the eye of the beholder”. And as several other comments - if you don’t like the price, move on —. I find it disrespectful that forum members are being potentially gouged solely on the fact that they are very early models in good shape. At least be somewhat fair about it when you decide to flip a recent purchase. That said he is offering the forum a discount as he is asking $3200 on the Facebook Klipsch Owner's Page. First, IMO, it is generally considered improper to comment on the price a forum member posts in a Garage Sale thread, unless asked to comment by the poster. Similarly, it's poor etiquette to make disparaging remarks about a forum member's offering, shag carpet, mini-blinds, homely kids, etc. Contrast that to comments about eBay, Craigslist, etc. listings by non-members, which are fair game. If a member posts an item in Garage Sale that is, in your opinion, over priced, then ignore it. Sellers are entitled to ask whatever they choose, whether long time owners or "flippers." 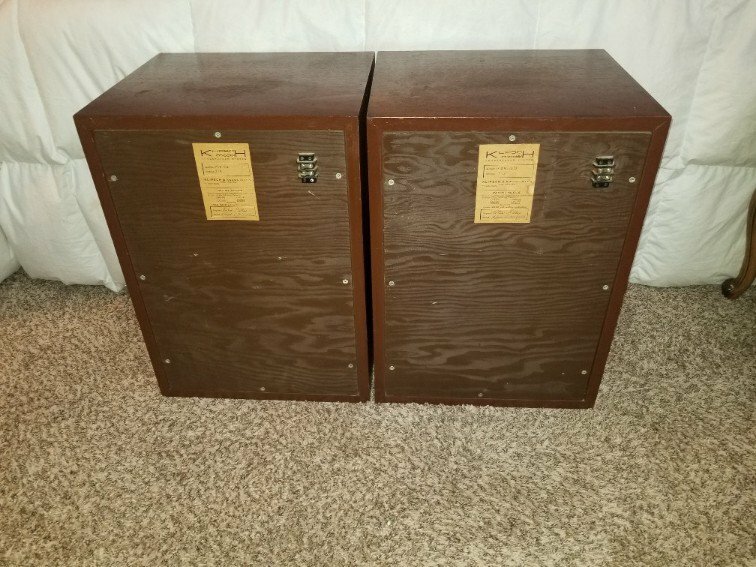 Second, non-memebers -- including new members seeking to sell Klipsch items -- often make the mistake of assuming that Klipsch afficianados are addicted to all things Klipsch, therefore more likely to value an item and over-pay. The reality is that forum members have a better sense of the market and are less likely to over-pay.